Video. We all consume it, we all love it. It’s convenient. Throughout the history of social media, there have been many video apps, that came and went. Some stayed, who are now the market players, while others faded out. YouTube, Snapchat are the platforms that are at the apex of this market. There’s Instagram too, but one could only post short videos on the platform. But that changed on 20th June. 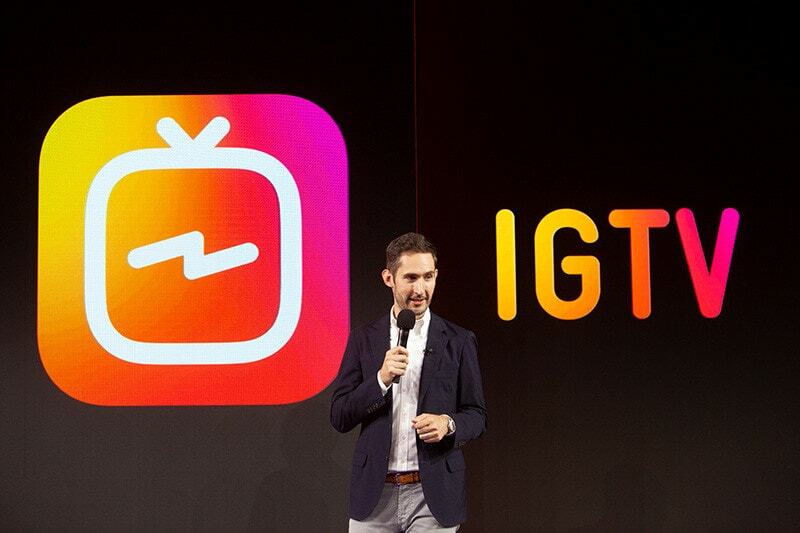 Kevin Systrom, co-founder of Instagram, announced the new platform IGTV, that will feature full-screen videos that can be up to an hour long. Videos are displayed in a full screen, vertical format. Opening the app, one can access various channels from which one cam stream long content. Swiping up will show options to change the channel. You can go through popular content, search for your favourite creators or watch recommended content that is crafted based on the users you follow. You can still like, comment on the posts, direct messages too. 1-hour video duration will only be available users with 10,000+ followers.Users with fewer followers can post 10 minute videos..
A big determining factor of the success of the app depends on the acceptance of the vertical format by the content creators. For a long time, video has been horizontal, matching with the format of the television. YouTube, the main source of video consumption by the masses, also uses the said format. This might be a problem for IGTV as the majority of creators are on YouTube and they are adapted to the horizontal format. The creators have been more active on YouTube than Facebook due to the fact that YouTube paid its creators. There is more to gain by staying on YouTube, but that could soon change. Adpocalypse, the recent Internet phenomenon that started demonetizing channels over petty issues, led to the community voicing their opinion against YouTube’s policies. It could play an important role in the possible migration of creators from YouTube to IGTV. The reason being that the creators didn’t have an option before, but soon they will. An Instagram executive at VidCon 2018 said that monetization will come to IGTV by the year-end. They are still testing monetization with some creators. There is Vimeo and Dailymotion, but they don’t have the eyeballs that YouTube and Instagram does. Can IGTV become the new YouTube? The app fills some gaps in the market and creates a lot of tension between competitors. But IGTV still doesn’t pose a direct threat to YouTube, at least not in the near-future. YouTube would probably come up with something to level the playing field. The popular phrase “say no to vertical videos” on the internet clearly describes the stance of the netizens on that aspect. But on the other hand, users have also adopted vertical videos with apps like Snapchat and Musically. Followers of a creator’s Instagram handle will already be following the creator’s IGTV channel. The users won’t have to search for content here, the app will play videos automatically, like a TV. On the IGTV app, users can’t search content by specific category, and can only search for creators. Some commented on the functionality of the app. While some talked about the fact that Instagram wasn’t clear about the 1 hour video feature. A big majority of the users on the Play Store mentioned the lag in the app. There were also those who didn’t really like the vertical thing. And there were people who pointed out the facts that the discover page was limited only to the celebs. 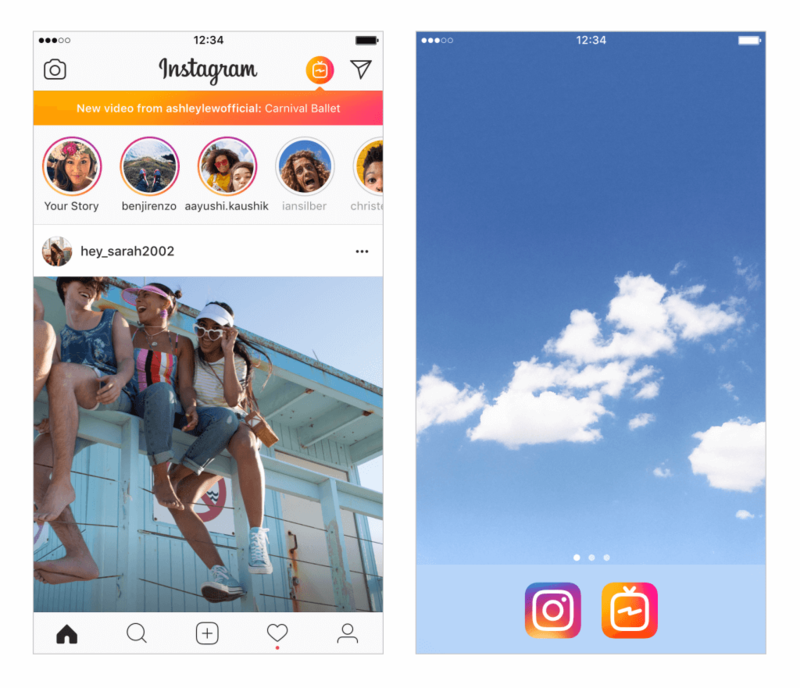 Should agencies use IGTV or not? That is the question. Brands usually use short and crisp content for the followers of a brand to consume. Short content that ranges from 20 seconds to 4 minutes. But what if the content needs to be longer. That is where IGTV comes in. The challenge that agencies and brands would face is that they would have to shoot videos twice – vertically and horizontally. Even if they adopted the app, they wouldn’t be posting hour long videos. After the announcement of the app, there were many brands who were trying out the app, Netflix being one of them. They posted a video of Cole Sprouse eating a burger for the entire hour. The top brands would certainly be exploring and trying ways to fully utilize the features of the app, and posting longer content. Brands do use the Instagram Stories feature to promote themselves, IGTV is just like a alternative standalone version, but longer. 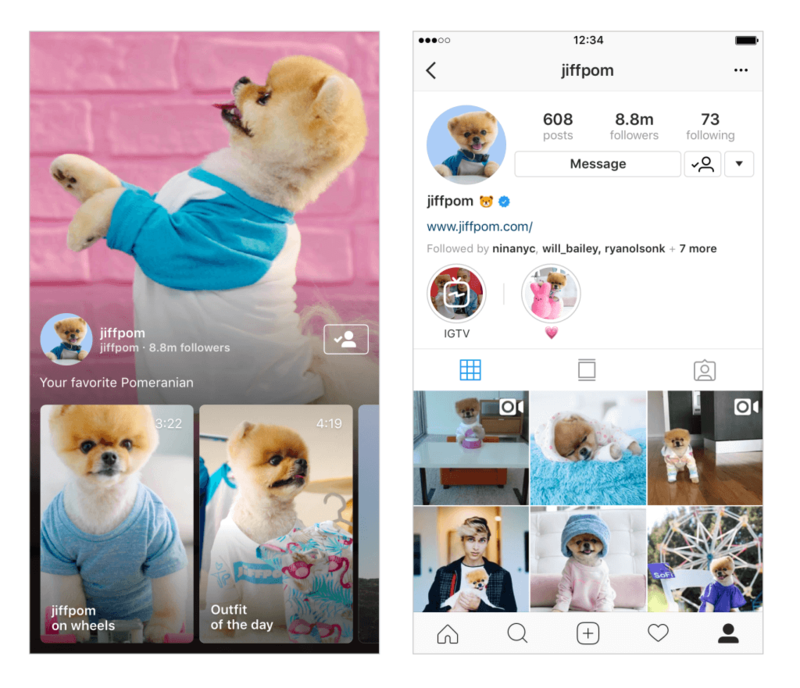 For the next few months, Instagram will be taking in all the feedback and criticism by the users. 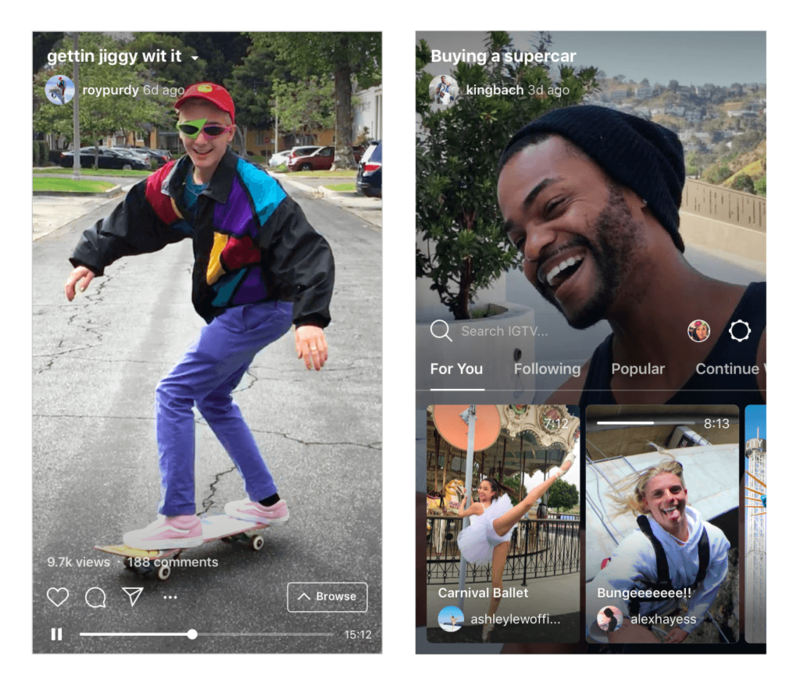 IGTV will be constantly updating, bringing out new features. Predicting if it could pose direct competition to YouTube is not something that can be done in the birth stage of an app. On the horizon, a new community could be rising. But we can’t yet see it due to the cloud of competition.